Birds, Dogs and Debt! Oh My! All Nippon Airways will now provide a new direct flight from Mineta San Jose International Airport to Tokyo. All Nippon Airways (ANA) hosted a reception last week in honor of a new direct flight from San Jose to Tokyo. The inaugural flight is scheduled for Jan. 11, 2013. 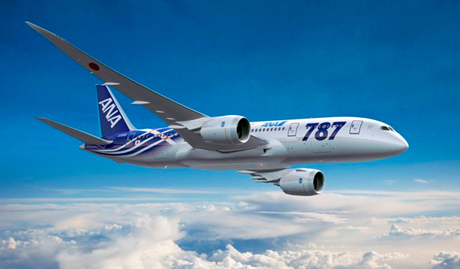 ANA will also offer connecting flights to 22 cities worldwide. This is good news for SJC, because the new connection will create a positive economic ripple effect for San Jose and the region at large. A special thank you goes out to all those who advocated for a new direct connection to Asia. While attending the event, I looked at the large ANA model of the 200-seat Boeing 787, and I thought about the council meeting from the previous day. The result of the discussion was to allow airport staff to shoot birds if they interfere with aircraft. When the time came to vote on this matter, one of my council colleagues expressed genuine concern and continued to question the best course of action. It is very dangerous for birds to get caught in an airplane engine. Not only would such a scenario be fatal to the bird, but it could also cause the airplane to malfunction and potentially lead to a deadly crash. During council discussion, concerns were shared about the shooting of birds in vain and the net impact of such action as part of the grand bargain for airport safety. It was also suggested that guns should be utilized only as a last resort, and that perhaps dogs could instead be deployed to scare away the birds. The suggestion of dogs being utilized in this capacity raised a whole new set of concerns for me, due to the potential cost and lack of practicality associated with implementing such a program. I am a self-professed animal lover, and yet I still thought it was odd that a relatively lengthy council discussion would contemplate the life value of a bird over the potential death of 200 passengers on a plane. Human safety comes first in my book, plain and simple, end of discussion. In the same meeting, the council reviewed the Comprehensive Annual Debt Report, which documents the total debt for the city of San Jose, currently a whopping $5.2 billion. This figure does not include unfunded liabilities for pension and health care, which would add an additional $3.6 billion to the total. At the Federal level, the national debt does not include unfunded liabilities like Social Security or Medicare. When unfunded liabilities are included, the National Debt catapults from $16 trillion to $70 trillion. Once the meeting concluded, what struck me most was that the council discussion on the $5.2 billion debt was 15 minutes long, while the discussion on birds at the airport was 12 minutes in duration. Going forward, I am hopeful that the council will invest more time on the debt issue and, dare I say, less time discussing the fate of a flock of birds. Too bad we can’t shoot the debt. There are many different forms of debt, but suffice it to say, we are tapped out. Onerous debt payments and servicing obligations take money away from the general fund, and therefore leave us with less money to pay for city services today. Whether we are looking into training a special service canine unit for avian abatement, or we are paying interest on our municipal debt, the money has to come from somewhere. This is why I take the role of a fiscal pragmatist seriously and advocate investing more time and effort on plausible solutions to reduce our municipal debt.